As my regular readers know, I filed a federal lawsuit in Brooklyn to force the FBI and Justice Department to release records about Seth Rich, a Democratic National Committee employee who was murdered in the summer before the 2016 election. Thus far, DOJ officials have maintained that the FBI has no such records, and that DC police declined the bureau’s offer to assist the investigation. In a hearing last month, however, I pointed out that Aaron alleges in a lawsuit against one of my clients that he is cooperating with “state and federal law enforcement officials” to solve his brother’s murder. That suggests FBI involvement. Near the end of the hearing, U.S. Magistrate Judge Lois Bloom ordered the FBI to produce an affidavit from someone declaring under penalty of perjury (1) how the FBI conducted the records search, and (2) whether or not any responsive records were found. The affidavit is due no later than October 9, 2018 at 10 a.m., when we have our next status conference. There are some obvious reasons why Mueller would be interested in Aaron Rich’s financial records. I can’t divulge all of my sources, but Matt Couch and others have openly alleged that Wikileaks directed payment to the Rich brothers via eBay and PayPal, further claiming that they received the tip from Julian Assange. Mueller, meanwhile, is charged with determining whether the Trump campaign “colluded” with the Russians, which would include determining whether the Russians hacked the DNC. 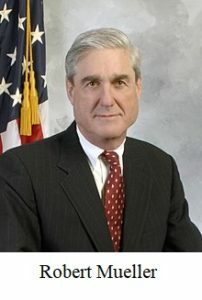 Any competent investigator would want to determine whether the DNC emails were hacked by the Russians versus hacked or leaked by someone else, e.g., Seth Rich. That begs a question: If Mueller knows whether Wikileaks directed payment to Aaron, then why hasn’t he said anything one way or another? Perhaps because the answer might undermine the very basis for his investigation. After all, there’s not much need for a special counsel if the Russians were not responsible for the hacking / leaking. Of course, it’s also possible that Mueller obtained Aaron’s financial records and found no evidence of a payment from Wikileaks, but I find that increasingly unlikely. As time passes, it looks all the more like Aaron and his lawyers are trying to hide all evidence pertaining to Wikileaks. 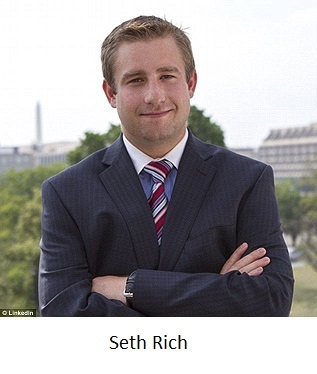 Consider the headline of my June 11, 2018 post: “Why won’t Seth Rich’s brother authorize Wikileaks to tell what it knows?” Three months later, the crickets are still chirping. Per the article below, the Democratic National Committee served its lawsuit on Wikileaks via Twitter. I’m wondering why your client has not tried to subpoena Wikileaks via Twitter. I’m also wondering why your client has not served subpoenas on eBay for payments into the accounts of companies controlled by Mr. Rich. [my client] would have issued his own subpoenas by now, but he does not wish to consent to the jurisdiction of the D.C. court. Gottlieb: You have sent two emails today (one copied below) purporting to ask us questions regarding the lawsuit our client Aaron Rich filed against the Washington Times, [my client], Mr. Couch, and America First Media in the District of Columbia, Case No. 1:18-cv-00681-RJL. Do you currently represent any party in that action? If so, which party do you represent? Do you contend that you are authorized to continue acting on behalf of a party in this litigation notwithstanding that you are not admitted to practice in D.C. and you withdrew your motion to appear pro hac vice? Or perhaps you are now authorized to practice law in D.C. If that is the case, please let us know. Clevenger: I still serve as [my client]’s personal attorney, and I am involved directly or indirectly in all of his cases. I’m not sure why any of that matters. The first question pertained to a case in NY, not DC. The other question, frankly, was for purposes of my blog. If you and your client were serious about getting answers, you wouldn’t be dragging your feet and making excuses. Your bluff has been called, and I think you know it. 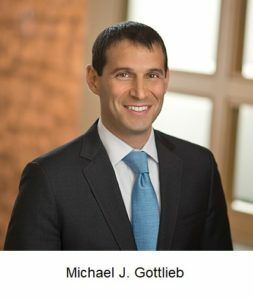 Gottlieb: Thank you for confirming in writing that you continue to practice law in D.C. without authorization to do so. Clevenger: Yeah, go ahead and file that complaint against me. We’ve already established that you like to talk tough… and then do nothing. By the way, coordinating my client’s representation in multiple jurisdictions is not “practicing law” in DC. And when your client’s case craters (like the related cases in NY did), I’ll probably be handling the malicious prosecution claims against you and your firm. If the DNC lawyers were so gung ho to serve Wikileaks via Twitter, you may be wondering why Aaron’s lawyers are so reluctant. The DNC lawyers knew that Wikileaks would ignore their lawsuit because no U.S. court could reach Wikileaks or its assets. In other words, serving the lawsuit was an empty gesture to make it appear that the DNC was serious when it was not. In marked contrast, a subpoena from Aaron would have some very real consequences: it would waive all confidentiality agreements between him and Wikileaks, allowing Julian Assange to do what he has wanted to do all along, i.e., tell what he knows. The smoke-and-mirrors strategy follow a pattern: a high-profile Democratic law firm files a lawsuit making bold claims, the media hypes the lawsuit, the Democratic lawyers act as if they are prosecuting the case aggressively… and then they allow the case to stagnate or die. 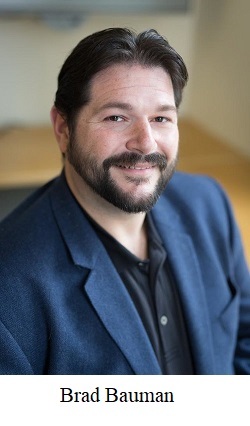 In Aaron’s case, for example, his lawyers initially insisted that they wanted to begin discovery as soon as possible, and they immediately subpoenaed the private Twitter communications of my client and me in an apparent attempt to intimidate us, yet they could never get around to subpoenaing Wikileaks, eBay, or PayPal about the alleged payoff. We struck back hard, and they’ve been quiet ever since. Similarly, Joel and Mary Rich (parents of Aaron and Seth) generated great fanfare by suing my client, Fox News, and a Fox producer in New York for intentional infliction of emotional distress. The lawsuit claimed that my client and the other defendants knowingly peddled a false story, i.e., that Seth and Aaron were responsible for leaking emails from the DNC. On August 2, 2018, U.S. District Judge George Daniels (a Clinton appointee) dismissed the case for failure to state a claim. The Riches did not appeal, probably because their lawyers knew the case was frivolous, and my client plans malicious prosecution lawsuits against the lawyers in the near future. In late May, Brad Bauman, a self-described spokesman for the Rich family, sued my client and several other defendants in D.C., claiming that my client defamed him by stating that Bauman had been “assigned” by the DNC to represent the Rich family. Thus far Bauman, who describes himself as a Democratic “political communications consultant,” has not been able to explain how he was defamed the statement that he was “assigned” by the DNC. (My client says Joel Rich was the person who told him that Bauman was assigned by the DNC). I suspect my client will soon be dismissed from that case as well. Or consider the DNC lawsuit itself, which was filed in April. President Trump mocked the lawsuit from the outset, noting that his lawyers would finally have an opportunity to examine the email server that the DNC famously refused to share with the FBI, and that case really does look like a Kamikaze attack. Why would the DNC want President Trump’s lawyers digging through all of its records? I checked the docket this evening, and nothing substantive has happened in that case since it was filed. I suspect the DNC will try to dismiss it some time after the November elections. After my June 11 blog post, Aaron’s lawyers were beside themselves. They accused me of anti-Semitism in court papers because I had used the term “oily shysters” in my blog post to describe some of their dirty and unethical tactics. I say if the shoe fits, wear it. There is absolutely nothing anti-Semitic about the term “shyster,” and I think Aaron’s lawyers already knew that. For a good laugh and a good explanation, look at “Shyster, Shyster, Shyster” by Jonah Goldberg, a (Jewish) writer for National Review. The term arose in New York in the 1800s, but its Germanic origin had nothing to do with Jews. As best I can tell, accusations of anti-Semitism arise when unscrupulous left-wing shysters are trying to deflect attention from their shysterly ( or is it “shysterious”?) behavior. Gottlieb, et al. originally had not objected to my application to appear pro hac vice in the D.C. federal court. After the “oily shyster” blog post, however, they changed course and filed an opposition to my motion. I filed a blistering response, but given my history with the “dirtiest federal courthouse in America,” I opted to withdraw my pro hac motion. As if things weren’t weird enough, Aaron’s lawyers then insisted that my response be stricken from the court record, apparently because they were embarrassed by it. I’ve never even heard of a request like that. Fortunately, my client rejected their request, and my response is still part of the court record. In the interest of documenting shysterly behavior, and for the amusement of my readers, I have uploaded a copy of my response.